This pink wine comes from Boekenhoutskloof winery, on the Western Cape of South Africa. They've been in operation since 1776 in the beautiful Franschhoek Valley, less than a hundred years after wine production began in the country. The winery website indicates that the name derives from words meaning "ravine of the Boekenhout" - pronounced Bookn-Howed. That's a Beech tree native to the area which is used for making furniture. The entire winery, vineyards and all, were retooled in 1993. 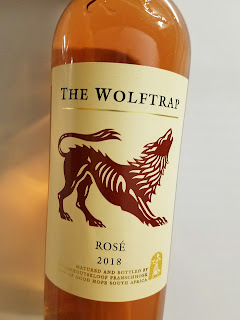 The Wolftrap Rosé was named after an old wolf trap found on the property. It must have worked, as there are said to be no wolves anywhere around, although you may spot a leopard from time to time. 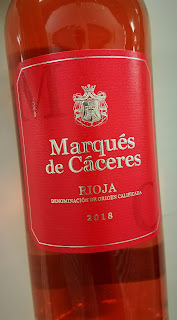 This rosé is made from three grapes, 69% Cinsault, 21% Syrah and 10% Grenache. Winemaker and vineyard master Marc Kent reports that the Cinsault adds perfume on the nose and fresh fruit to the palate, while the Syrah accounts for the spiciness and the Grenache gives the wine a red berry character. Alcohol is restrained at 13% abv and sells for less than $10. This wine colors up exotically, a step past salmon and into day-glo orange. There's cherry and apricot on the nose, along with a healthy helping of earth. That dirt shows up n the palate, too, with cherry, apple and stone fruit flavors. I find it an unusual taste, but not off-putting. It's a bit like some wines I've tried that were made from North American hybrid grapes, although the grapes here have their roots in the Rhône Valley. 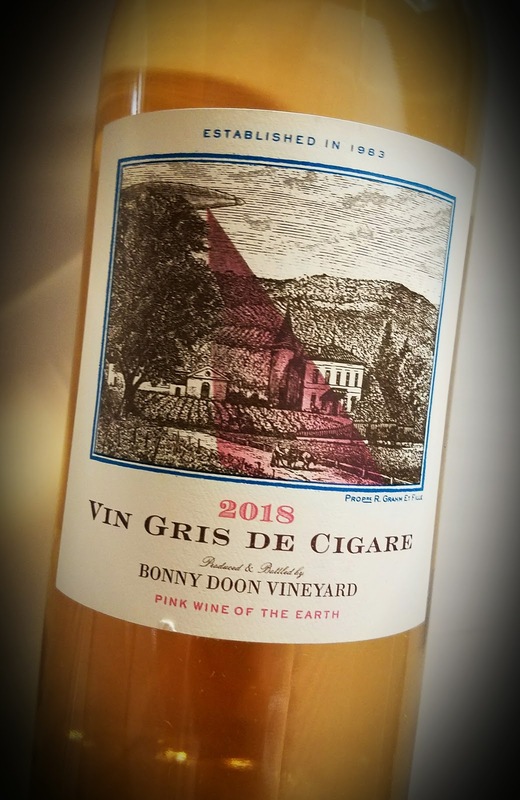 Bonny Doon, the Santa Cruz-based winery that's on a self-described "adventure to make naturally soulful, distinctive, and original wine," is heading into spring with another vintage of its beautiful rosé. Randall Grahm calls his Vin Gris de Cigare the "pink analogue of Le Cigare Volant," the flagship wine of the Dooniverse. 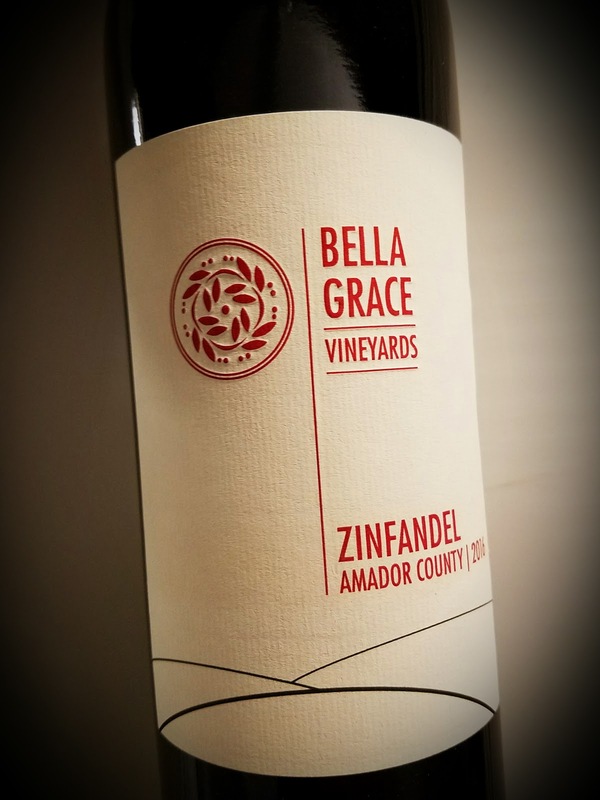 "The Grenache for our Vin Gris came in large part from bespoke sections of the Alta Loma Vineyard, a cool climate site in the Arroyo Seco region of Monterey County that gives us grapes with a distinctive black currant character. The Carignane, responsible for the fundament of the wine, derived from very old vines from Antioch in Contra Costa County. 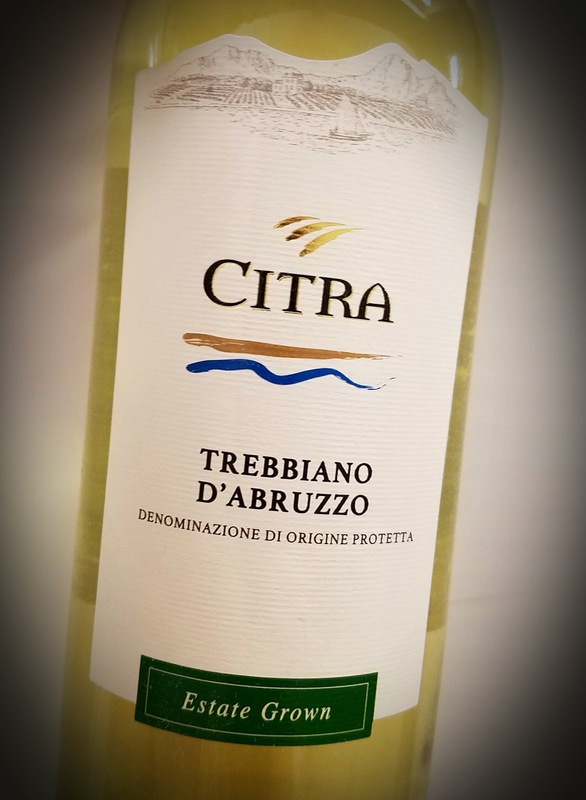 A substantial percentage of the wine is composed of the elegant Grenache Blanc variety, adding a lovely richness and foundation to the '18 vintage. The Cinsaut,... ah, a delicate cherry top note." He also notes that the lees were stirred to give a creamy mouthfeel. The '18 Vin Gris de Cigare is very pale pink in the glass, quite lovely in fact. The nose shows red fruit and a light floral note with a savory mineral edge. The palate displays cherries and apples, with a very light and creamy mouthfeel, yet with a wonderful acidity. Great wine is all about location. The location of the vineyard makes all the difference in the end product. Locations is an experiment of place for winemaker Dave Phinney, of Orin Swift fame, in which he makes wines from all over the world. These wines are labeled only with a big letter or two, depicting the place of origin, much like those European bumper stickers - F for France, P for Portugal, I for Italy, and NZ is for New Zealand. Phinney sold the Locations brand this past summer to Modesto's E and J Gallo, two years after selling off the Orin Swift brand. A price wasn't announced, but Phinney will reportedly stay on as the winemaker "indefinitely." 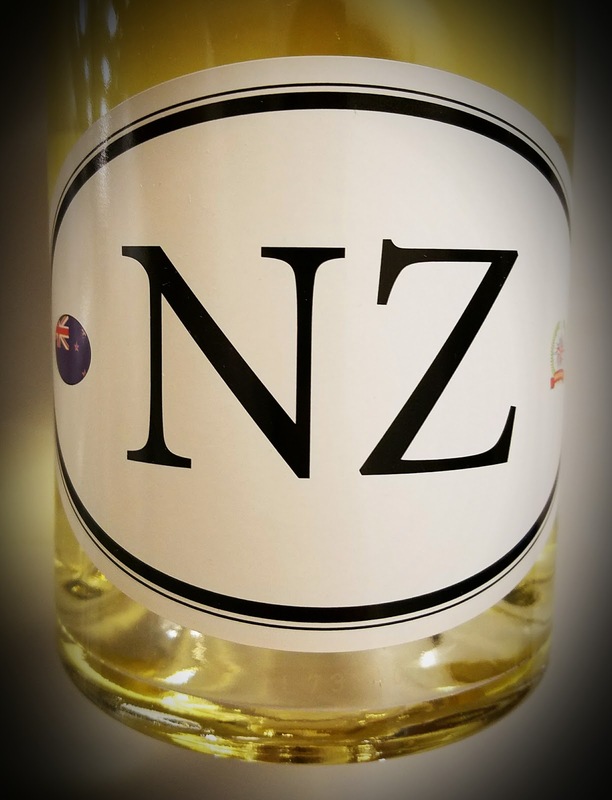 The NZ7 vintage features 100% Sauvignon Blanc grapes which were grown in three valleys in the Marlborough region - Wairau, Awatere and Waihopai. Phinney says the grapes from the Wairau offer the fruity, grassy framework, with the Awatere grapes adding minerality and the Waihopai fruit supplying the "final layer of complexity." The wine was made in stainless steel tanks and aged a minimal amount of time. Alcohol hits 13.5% abv and the wine retails for $20. This wine shows a light golden color in the glass and a grassy nose with peach aromas, but not full-blown Kiwi herbal. The palate also offers peaches, apples and herbs. The nice acidity doesn't exactly zip, but gets the job done. There's an herbal finish, which again does not overpower. The wine should go great with salmon and salads. German wines tend to fall beneath the typical U.S. wine drinker's radar. Aside from Riesling, one could be hard-pressed to find a German grape variety or even a German version of a more familiar grape, on a supermarket shelf. Specialty wine stores will dig deeper, but depending on their inventory they may not have a very wide coverage. Los Angeles wine expert Matthew Kaner says of the new world of German wine, "there’s more than just Riesling," and he cited the Koehler-Ruprecht Pinot Blanc as an example. 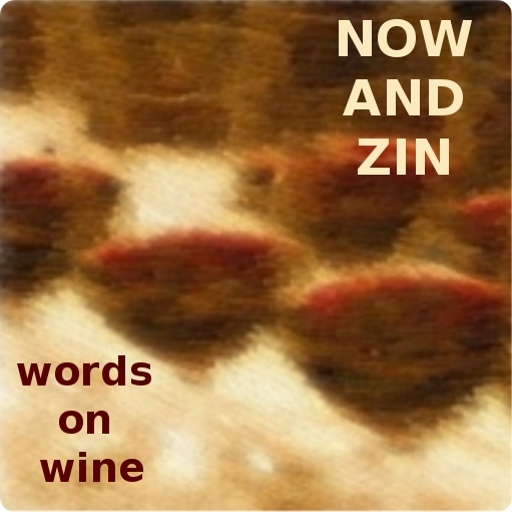 Kaner commented during an online event that people should be drinking more Pinot Blanc. Usually a sommelier suggests Riesling, it seems. However, the grape known as Weissburgunder in Germany has some serious food friendliness of its own. 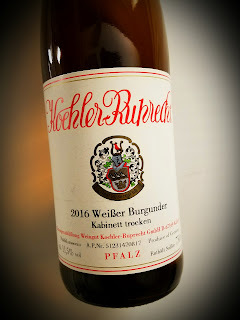 The history of Weingut Koehler-Ruprecht goes back to the 18th century, with Bernd Phillipi overseeing the place for three of the most recent decades. Like his grandfather, Phillipi uses no irrigation, fertilizers or herbicides in his vineyard, and anti-pest and anti fungal treatments are kept to a minimum. In the cellar, fermentations happen in large, old German oak barrels with the spent yeast cells - lees - in the mix for fullness. He uses sulfur before bottling. Phillipi is a busy guy, with winemaking activities on three continents competing for his time. He has brought up Dominik Sona to handle most of the cellar duties in Germany. In addition to Pinot Blanc, the estate has vines full of Riesling, Pinot Noir, Pinot Gris, Chardonnay, Gewürztraminer and Scheurebe on three different terroirs - Saumagen's chalky limestone, sandstone-based Steinacker and Annaberg. The 2016 Pinot Blanc (Weissburgunder) is trocken - dry - has alcohol at 12% and sells for $20. The 2016 Koehler Ruprecht Pinot Blanc shows yellow-gold in the glass. The nose is laden with minerals, like a driveway freshly rained upon. There are pears and peaches, but they fight to get through the wet rocks. The palate also puts minerality first, with pear juice coming through. The acidity is not very strong, but is zippy enough to carry a salad or shrimp cocktail. New Zealand's Villa Maria winemaker Kathrin Jankowiec recently guided a group of wine writers through a half dozen of her creations during an online virtual tasting event. Aotearoa is Māori for New Zealand, and being a full-flavor kinda guy I'm usually pleased with the bold, delicious wines made there. Villa Maria was founded by George Fistonich in 1961 as a five-acre vineyard in Auckland. He and his wife ran the show themselves until he expanded in the 1970s. They now have estate vineyards on both the North and South islands. Sir George was knighted by his government in 2009 for his service to the nation’s wine industry. He took Villa Maria 100% screwcap in 2001. 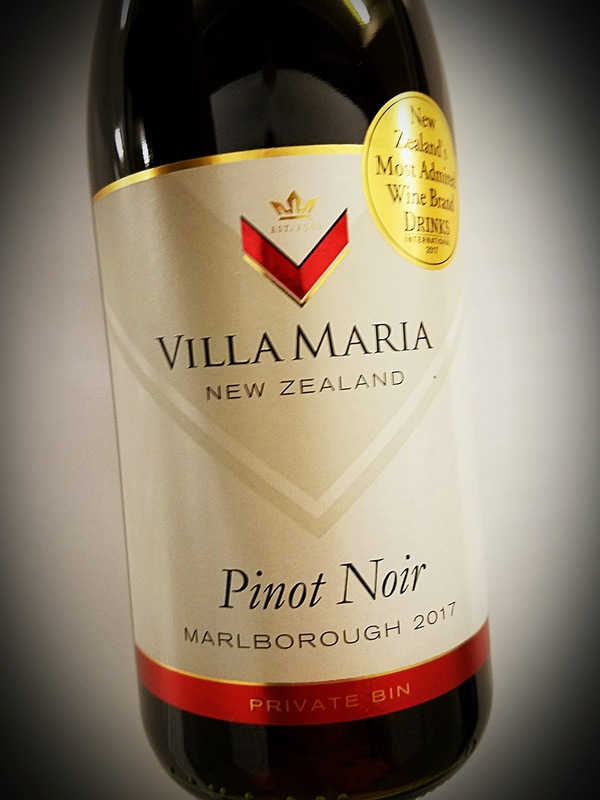 The 2017 Villa Maria Marlborough Pinot Noir was made from grapes grown in the Awatere and Wairau valleys, in the Marlborough region on New Zealand's South Island. Alcohol is extremely manageable at 12.5% abv and the wine retails for just $20. 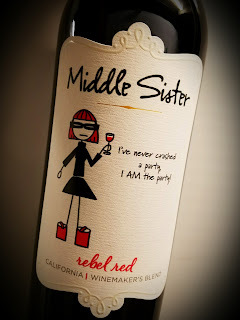 I found this wine surprising because it didn't fit my expectations of a bold and dark Pinot, like the ones I've had. This wine has a light ruby color to highlight its elegant look. The nose pops of light violets and roses with strawberry and cranberry aromas playing through. In the mouth, this Pinot is as elegant as it looks. Flavors of cherry and a faint tea note are playful in this easy drinker. Semi firm tannins back up all those attributes and get to work on meat dishes from foul to feast. The winery suggests a smoked salmon pairing. The fantastic, Dallas-based Brazilian steakhouse Fogo de Chão is now serving new menu items for the spring season. If you've never been to a Fogo location, it's been described as a "meat parade," in which servers keep those choices coming until you throw out the stop sign. Fogo has introduced seven new seasonal dishes, a new cocktail and a new red wine. The new meats include Pork Picanha - butchered and prepared with the same simple style as traditional Picanha, then carved tableside - and a new spicy Linguiça Sausage - pork with red pepper, garlic and fresh onion. I was invited to sample the menu recently at the Beverly Hills location, with manager Sevenir Girardi guiding me along. Girardi told me the BH store was the fifth in the nationwide chain when it opened 14 years ago. The new pork meats are excellent, especially the Linguiça, which was an overwhelming favorite for a sausage-lover like me. The sirloin was done to perfection, as was the Frango - chicken marinated in beer and brandy and wrapped in bacon. Fogo's CEO Barry McGowan says "Brazilian cuisine focuses on harvesting and serving fruits and vegetables when they are in season and have reached peak flavor," and the revamp also shows up on the salad bar, or Market Table. I'm not a particularly big fan of carrot ginger soup, but I'll have the Fogo version anytime. It's vegetarian, gluten-free and delicious, with a bit of a spicy kick to the coconut milk. The Brazilian kale and orange salad is also fresh, as is the roasted cauliflower salad. The Bosc pear slices pair nicely with bleu cheese. Dessert also got a new dish, one that Girardi says came straight from Brazil. The Crème de Coconut combines freshly-shredded coconut with condensed milk and cream, baked in the oven and served warm with ice cream and a little lime zest. I had this instead of my typical Key lime pie, and was glad I did. 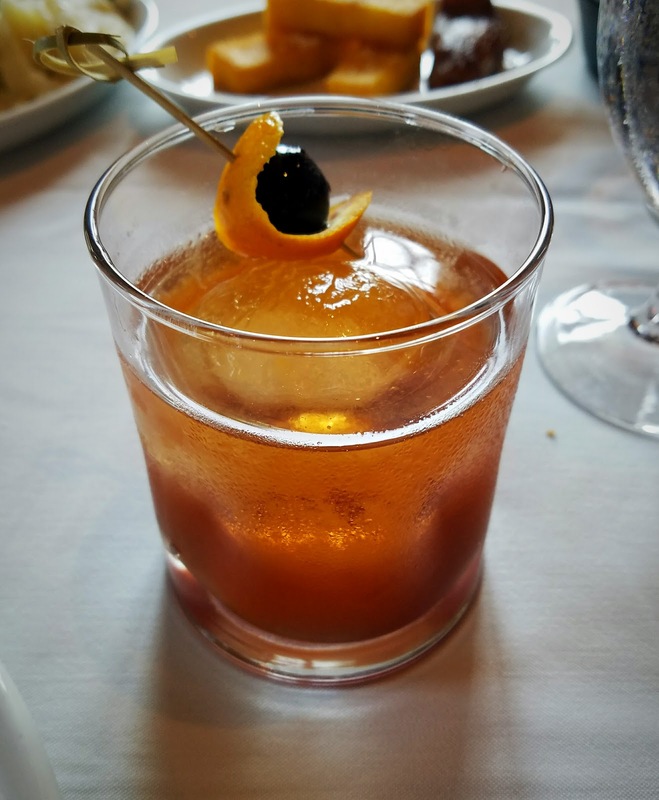 There's a new cocktail at Fogo de Chao for spring, the Blood Orange Manhattan. The bartender mixes Buffalo Trace Bourbon with a splash of Carpano Antica, a dash of blood orange and angostura bitters. 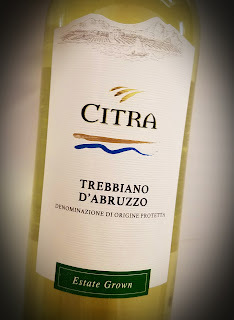 It is served over rocks, and the loads of citrus and its easy-drinking nature make it a great seasonal choice that should be a fave right through summer. 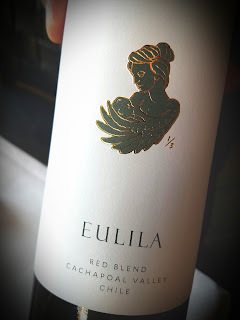 Fogo also unveiled Eulila, a Chilean red wine blend from the Cachapoal Valley (Carmenere, Cabernet Sauvignon and Syrah) specially created exclusively for Fogo by the award-winning winemakers at Viña Vik that pays tribute to Eulila "Selma" Oliveira, Chief Culture Officer of Fogo de Chão. It's a great pairing with Fogo faves like the dry-aged steak offerings: Bone-In Cowboy Ribeye, 24-ounce New York Strip, 32-ounce Tomahawk Ribeye. Born and raised in Brazil, Oliveira moved to the United States in 1985, determined to achieve the American dream. 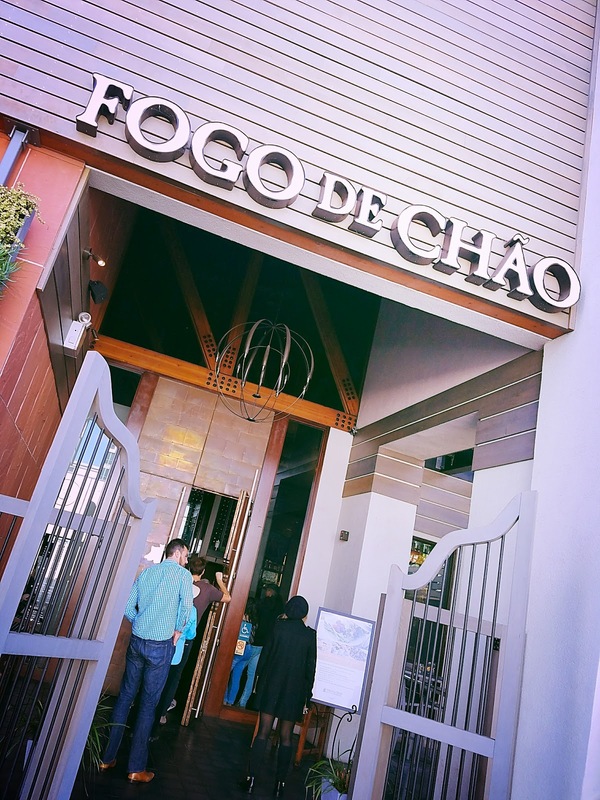 Following a chance encounter with the founders of Fogo de Chão while in Dallas, she joined Fogo as the brand's first female manager and, eventually, executive. She's considered today to be the heart and soul of the organization, affectionately known as the Fogo matriarch. Created by Viña Vik for the Fogo de Chao restaurant chain, this wine blends 48% Carmenere grapes, 30% Cabernet Sauvignon and 22% Syrah into a food-friendly delight. The wine smells of earth and dark fruit and has a savory edge to the fruitiness on the palate, with excellent acidity and tannic structure. It hits 14% abv on the alcohol scale, a little lighter than wines of this type usually are, and it sells for $76 bottle in the restaurant. 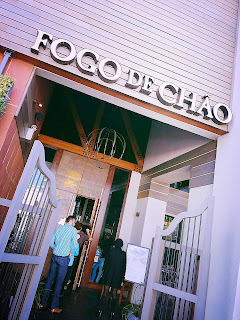 Fogo de Chao is not a seasonal choice for me - I’ll go anytime, no arm-twisting required - but their springtime focus adds a few new reasons to stop by.